Tue, July 30, 2019 10:00 A.M. Serving the communities of Oxford Circle, Castor Gardens, Upper Northwood, Summerdale, and the Lower Northeast. The Bushrod Branch owes its genesis to Philadelphia eye surgeon and humanitarian Dr. Bushrod Washington James. Dr. James acquired his skills as an eye surgeon as attending physician at the Northern Home for Friendless Children, and later went on to found the Bushrod Home. He helped thousands of poor children and adults at the Institute, treating many of them without being paid for his services. A pacifist, Dr. James served as a medic at the Battle of Antietam. After the Civil War, he crusaded for women's suffrage and wrote a book on the topic. He also wrote extensively on medicine and travel. Dr. James died in 1903, leaving a will with specific instructions for the founding of the Bushrod library at his residence on Green Street near Logan Square. In 1948, the trustees received permission to transfer Dr. James' endowment to a new library that would be built in Northeast Philadelphia. Known as Oxford Circle, the area served by the Bushrod branch was mostly farmland until the 1930's. Residential development began to take root after the opening of the Frankford Elevated and the Tacony Palmyra Bridge in the 1920's. By the time the library was built, Oxford Circle was a well-established residential community with two newly built elementary schools. 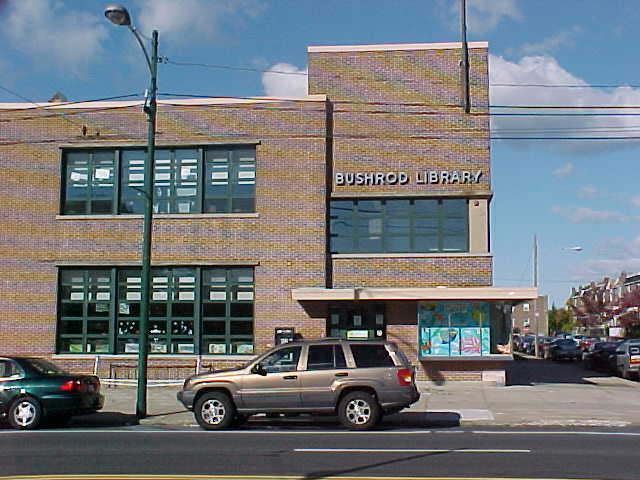 The Bushrod Branch opened its doors on October 25, 1950. It was the first newly constructed branch in the Free Library system since the completion of the Central Library in 1927. The library offered two floors with reading rooms for the public, and, in accordance with Dr. James' bequest, a special room devoted to use by children. 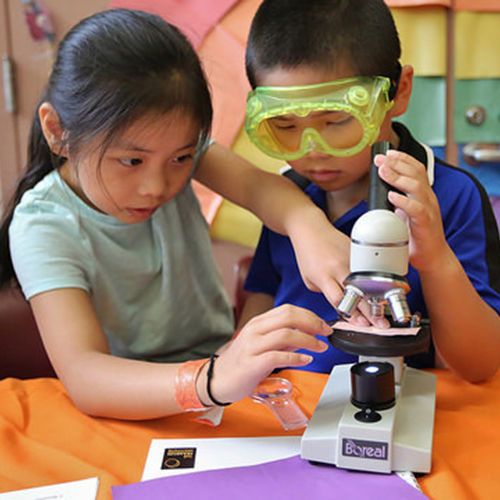 Today, the Bushrod Room is used for story hours and other children's programming. The library was renovated in 1999 as part of the "Changing Lives" campaign, which refurbished branches and brought Internet service to every library.